The lawyer of an Israeli-American teenager suspected of waging an intimidation campaign of bomb hoaxes and threats against Jewish institutions and other targets around the world said in an interview aired Wednesday that her client has attempted to commit suicide at least five times over the past two weeks. 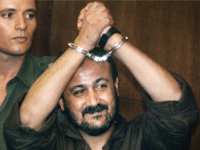 TEL AVIV – The Israeli Prison Service released a video on Sunday that appears to show Palestinian terrorist and wannabe politician Marwan Barghouti secretly eating a candy bar and other food in the bathroom of his cell while purportedly leading a hunger strike. 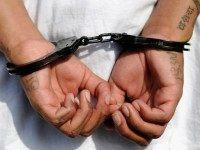 At least 86 Palestinian prisoners said Saturday they were ending their hunger strike, the Israel Prisons Service said. They joined some 100 other prisoners who ended their strike on Friday. 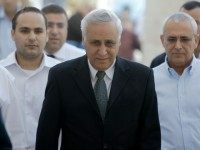 TEL AVIV – Fatah leader and imprisoned terrorist Marwan Barghouti may be prohibited from meeting with his lawyers if they are found to have helped smuggle his op-ed to the New York Times, Public Security Minister Gilad Erdan said on Tuesday. 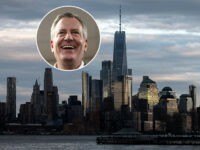 TEL AVIV – The New York Times was roundly condemned for publishing an op-ed by Fatah leader Marwan Barghouti but failing to mention that that author is a terror mastermind who was convicted of planning multiple attacks against Israelis. 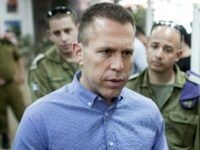 Israeli Public Security Minister Gilad Erdan vowed on Tuesday not to negotiate with hundreds of Palestinian detainees on the second day of a hunger strike led by popular leader Marwan Barghouti. 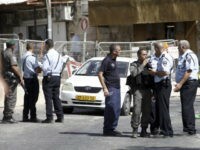 A Palestinian who was due to begin a prison term in Israel next week went on a shooting spree on Sunday, killing a pedestrian and a police officer in Jerusalem before being shot dead by police, medical and law enforcement officials said.